Our customers are passionate about Australian Made products. Many requests have been made for promotional materials and signage that highlights that their steel is supplied / manufactured using Australian made Orrcon Steel. A national project was completed to provide our customers with signage to reinforce the product comes from a reputable Australian Made manufacturer. For us this increases brand awareness, reinforces our strength as an Australian manufacturer and gives opportunities for sales teams to engage with customers on a subject many are passionate about. When the Aussie dollar is low, it’s a good time to promote Australian Made status! For our customers, it gives association with an Australian Made Manufacturer and with a high quality, reputable supplier, highlighting their support of Australian Made products. While Australia rode to prosperity on the sheep’s back during the 19th century, a new report suggests the key to our nation’s economic longevity is by supporting Australian made companies. An independent report commissioned by the Industry Capability Network (ICN) concluded that for every $1 million in increased or retained domestic business output, there is a direct flow through effect on the economy. For example, when an Australian business grows its revenue by $1 million, this results in $837,500 worth of Gross Value Added (GVA) to the Australian economy. This generates eight full-time equivalent jobs, saves $85,300 worth of welfare expenditure and generates $264,500 worth of tax revenue. 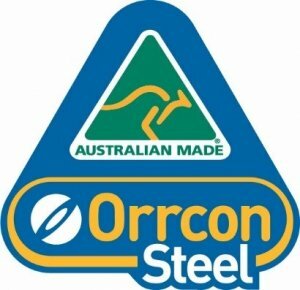 At Orrcon Steel we are dedicated to working in partnership with other Aussie businesses to help grow Australia’s economy and secure jobs for the future.